Could Your Child's Picky Eating Be A Sign Of Depression? : Shots - Health News Most young children who are extra choosy about what they'll eat eventually outgrow the habit. But research finds that in extreme cases, the pickiness may be linked to depression or social anxiety. Parents of children who are extremely finicky may find it useful to seek help, psychologists say, because some kids won't outgrow the behavior on their own. But don't make the table a battlefield. The study followed a broad spectrum of children who had come to Duke University for routine medical care. Most kids dislike some foods (broccoli is a common villain), but the researchers counted a child as a severely picky eater if his or her food choices were so limited that it made meals at home difficult, and meals out all but impossible. Those extreme cases were rare — just 3 percent of all kids. But, as a group, they were twice as likely as the children who weren't picky to have a diagnosis of depression, and seven times as likely to have been diagnosed with social anxiety, according to the study. Nancy Zucker, director of the Duke Center for Eating Disorders, says parents of children who are extremely finicky may find it useful to seek help, because the kids may not simply outgrow the behavior on their own. And even if they eventually do, it can be disruptive to child and family alike in the meantime. A big question is what to do about less extreme cases, which in the Duke study made up 17 percent of all children. These children have a list of foods that they are reluctant to stray beyond. "They're more sensitive to taste, to smell, to texture, to visual clues like light," Zucker says. "They also had higher levels of anxiety symptoms and depressive symptoms." But those symptoms didn't cross the line into a formal diagnosis, she says, "which is important to stress because I really don't want to cause panic among parents." These children's sensitivities to food mean they "have a potentially richer, more vivid life experience," Zucker says. But "it could be a vulnerability if it crosses a threshold where it starts to impair them." 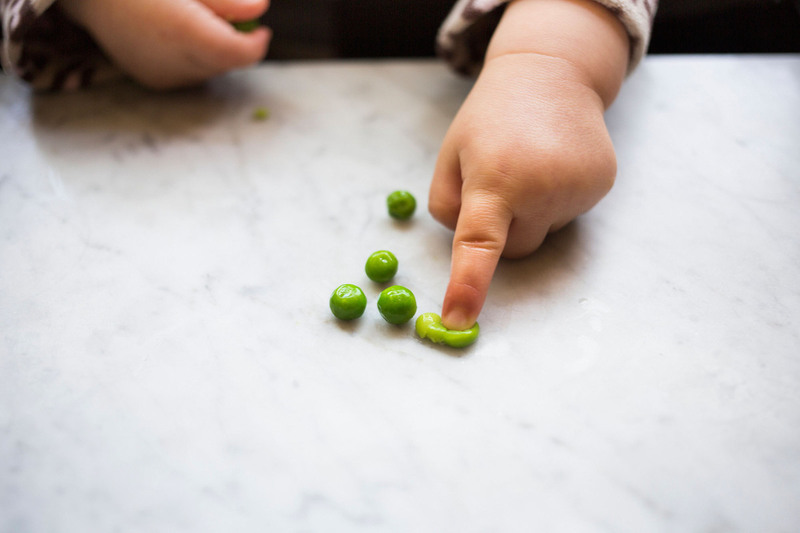 Finding foods a child will eat is frustrating for many parents, but there's relatively little science on the subject, researchers say. And picky eating isn't just about children — it's about society's broader relationship with food. "Our notions of what is typical eating have changed radically over the past hundred years," says Kathleen Kara Fitzpatrick, a psychologist at the Stanford University School of Medicine. American children get solid food at an older age, more slowly than they used to, and often with a narrower range of foods. "That's why most kids' menus in restaurants look exactly the same," Fitzpatrick says. Discerning eating also has biological roots, she says. "You don't want your kid picking up and eating everything, because then they're going to pick up and eat dirt and hair and cat poop!" Refusing many foods may, in part, be a natural exaggeration of that natural defense against poisoning. Beverly Tepper, professor of food science at Rutgers University, says these reactions actually occur before food even ends up in a child's mouth. The first and strongest test is not how food tastes, but what it looks like. "Once we get past the how-it-looks-stage, and we smell it and it has an attractive odor, we might be interested in consuming it or tasting it," Tepper says. At that point, texture and taste come into play. Bitterness plays a critical role in accepting or rejecting food (which explains a lot about kids and broccoli). Tepper says an individual's reaction to bitterness is in part a genetic trait, so some children will be naturally more averse to bitter foods. What's remarkable to her, she says, is not that children often reject bitter foods, but why anyone develops a taste for bitterness. "Healthier diets tend to be higher in variety," Tepper says. "So this may be a mechanism that ensures greater variety in the diet." Most of us get more receptive to trying new foods as we grow up — and the process of accepting new foods gets easier. Adults may need to try new foods once or twice before they decide whether they like them or not. In contrast, Fitzpatrick says, typical children may need eight exposures, and "extreme picky eaters can require 52 or more presentations of a food before it's no longer considered novel," she says. That's one reason it's not easy for parents to train some children out of being too choosy in what they eat. It can take a lot of work, but may be worth it in some cases. "What I suggest parents do is, if there are going to be 'food adventures,' that they happen during snack," Zucker says. It's best not to disrupt the socially important time around meals to do battle over food, she says. And remember, most children eventually will develop a much broader palate.